Ceiling fans, electric fans; electrical lighting fixtures. Electric space heaters. 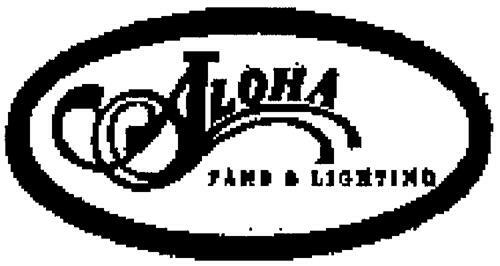 On Friday, August 1, 2003, a canadian trademark registration was filed for the above pictured logo by ALOHA HOUSEWARES, INC. a Texas 841 N. Great South Parkway, Arlington, Texas 76011, UNITED STATES . The Canadian IP office has given the trademark application number of 1186362. The current status of this trademark filing is Registration published. The trademark is filed in the description of Ceiling fans, electric fans; electrical lighting fixtures. , Electric space heaters. .
Mark Disclaimer: The right to the exclusive use of the words FANS & LIGHTING is disclaimed apart from the trade-mark. (1) - Ceiling fans, electric fans; electrical lighting fixtures. (2) - Electric space heaters.